Cadence Design Systems and HEEAP signed a Memorandum of Understanding (MOU) for an in-kind lab/software contribution to advance electrical engineering design and applied project capacity on the HEEAP university partner campuses. To date, Cadence has donated $40 million in software, and all schools have successfully used Cadence software in their teaching. Cadence is currently reviewing the usage of the software they have donated to partner institutions and plan to extend the licenses through 2015. Cadence Design Systems is the world's leading electronic design automation company. 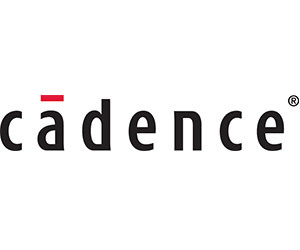 Headquartered in San Jose, California with global operations, Cadence customers use their software, hardware and services to overcome a range of technical and economic hurdles. Among other things, Cadence technologies help customers to create mobile devices with longer battery life. Designers of ICs for game consoles and other consumer electronics speed their products to market using our hardware simulators to run software on a ‘virtual’ chip—long before the actual chip exists. Cadence bridges the traditional gap between chip designers and fabrication facilities, so that manufacturing challenges can be addressed early in the design stage. Their custom IC design platform enables designers to harmonize the divergent worlds of analog and digital design to create some of the most advanced mixed-signal system on chip (SoC) designs. These are just a few of the many essential Cadence solutions that drive the success of leading IC and electronic systems companies. Cadence will train faculty in HCMC on the tools and integrated labs for their curriculum.